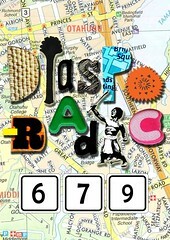 DIASPORADIC679 catalogues available now at all the venues! The #TeamD679 Iine-up in Otara today! We had Dulcie Stewart here from Brisbane today so it was pretty exciting when the posters came fresh off the printer same time! Today the posters have gone up in Otahuhu and the exhibition officially kicks off on Monday 17 October! Put it on your chest, say it like it is! Watch out for diasporadic679 in the upcoming programme for the Southside Arts Festival (14 October – 6 November)! We’re so excited to be part of this excellent programme amongst some EXCELLENT South Auckland art events! Day 1 // diasporadic679 go time! !